Donald Trump's campaign released a statement from his personal physician Monday asserting that the real estate mogul's "physical strength and stamina are extraordinary" and his recent lab tests results were "astonishingly excellent." "If elected, Mr. Trump, I can state unequivocally, will be the healthiest individual ever elected to the presidency," wrote Dr. Harold Bornstein, who said that he has been Trump's personal physician since 1980. 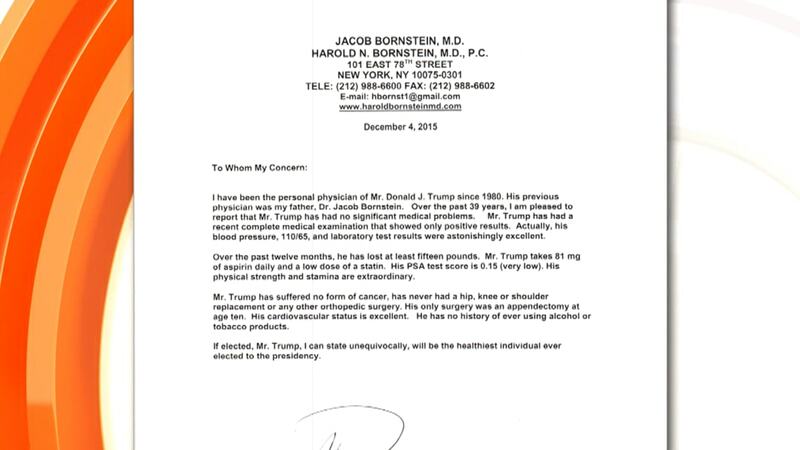 Bornstein added in a letter peppered with Trump's trademark superlatives that Trump has lost "at least 15 pounds" in the last year and that his cardiovascular health is "excellent." The one-page document also relayed that Trump takes aspirin and a "low dose of a statin" (a cholesterol-reducing drug) daily. Trump pledged earlier this month to release medical records that he promised would show "perfection." 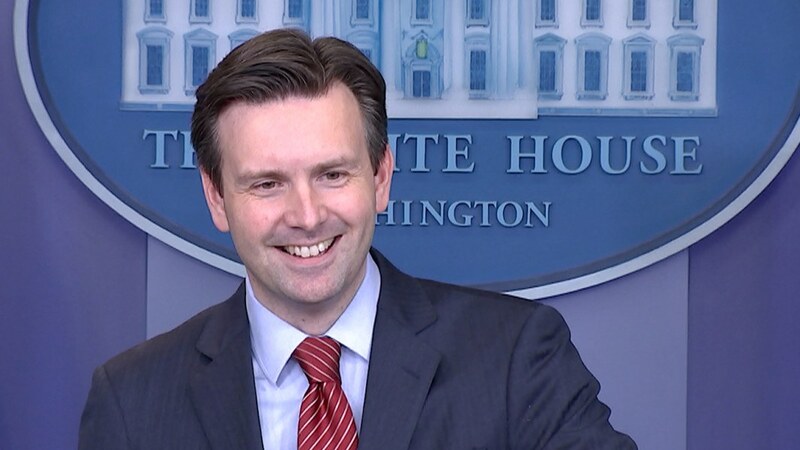 If elected, the GOP frontrunner would be 70 years old at the time of his inauguration, making him the oldest person ever to assume the presidency. Ronald Reagan was 69 when he was first inaugurated. When Trump tweeted a link to the document Monday afternoon, he mistakenly attributed the document to Dr. Jacob Bornstein, who died in 2010. The letter itself states that it was written by Jacob Bornstein's son, Harold.